Muddy streets of Kenya’s crowded Korogocho slums are a far cry from the fashion boutiques of Paris, Milan, New York or London. 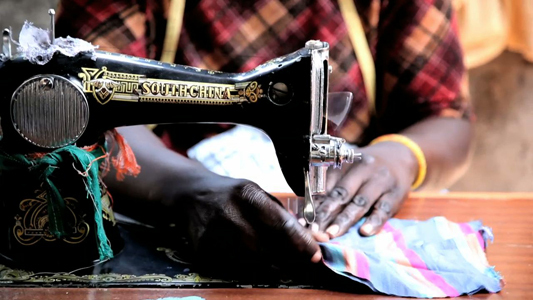 But beneath a tin roof, workers from some of the country’s poorest communities sew buttons and stitch cloth for top international designers, part of a not-for-profit “ethical fashion” project. “Before Ethical Fashion, I couldn’t educate my children,” said Lucy, sitting in a circle of women, needles in hand as they deftly sew white seed beads to the surface of smooth, chocolate-colored leather. “But now I can educate them, and provide for them anything they need,” said the mother of four, in her late 30s. 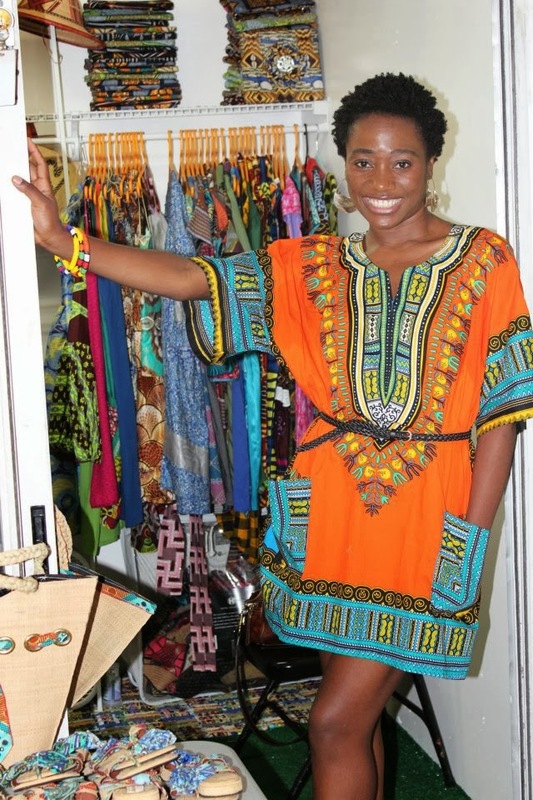 From Korogocho, accessories like the cuffs the women sew are sold in high-end international boutiques, stamped with the labels of international fashion houses like Vivienne Westwood, Fendi and Stella McCartney. 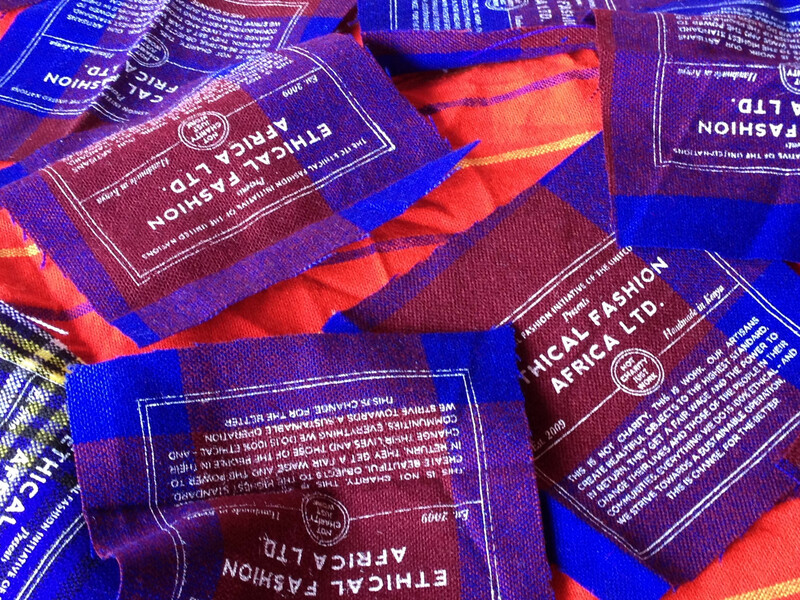 It is part of the Ethical Fashion Initiative (EFI), a project built on a model of “mutual benefit” that aims to support poor communities by linking them up with fashion houses and distributors. Workers on the scheme would take months to earn enough to buy some of these luxury goods, which sell for hundreds of dollars on the high street. But conditions are very far from the sweatshops that muddy some fashion brands, with the UN-backed scheme providing decent working conditions, training and — perhaps the clearest sign of its success — people queuing up to join looking for work. Organizers say some 90 percent of workers in Kenya have improved their homes, and almost 85 percent now provide better food for their families. 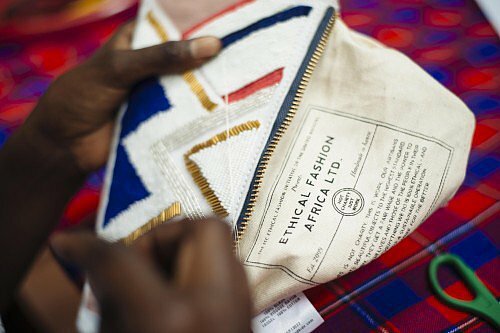 Ethical Fashion Initiative (EFI), a joint effort by the United Nations and World Trade Organization, the initiative has expanded from Kenya to Burkina Faso, Ghana, and Haiti, with plans for future expansion on the continent and in Asia as well. The long journey these bags, clothes and accessories will make has reshaped the lives of women like Lucy. Struggling as a teenager in this tin-shack slum in Kenya’s capital Nairobi, by the age of 16 she had turned to prostitution to survive. With three children of her own, she also cares for her nephew, after her sister died of AIDS. Starting out five years ago as a seamstress, Lucy is now a supervisor. Last year she moved her family out of Korogocho to a nearby suburb, with lower crime rates. 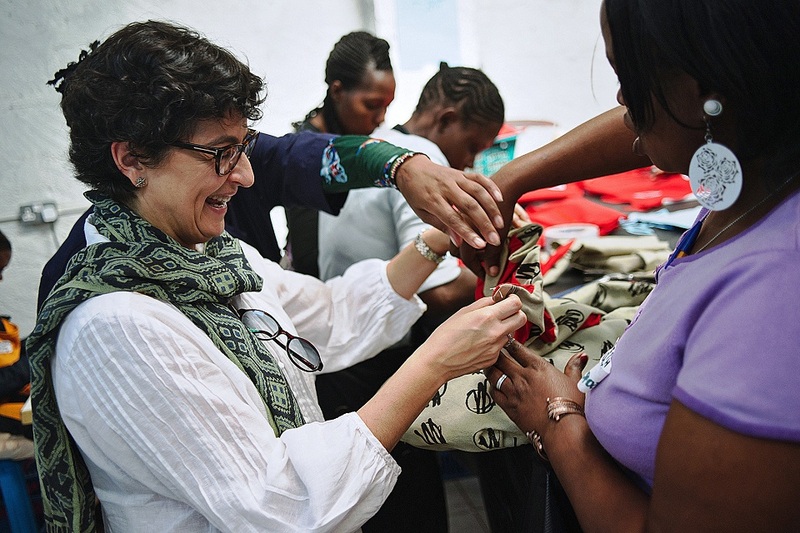 “Trade, economic activities, markets can also be married with human development, with women’s economic development, with poverty reduction hence offering a sustainable way to improve lives” said Arancha Gonzalez, C.E.O International Trade Centre, on a visit to the workshops in Nairobi. “We call it ethical because we give a decent job, with decent working conditions, to very destitute people,” Gonzalez added. 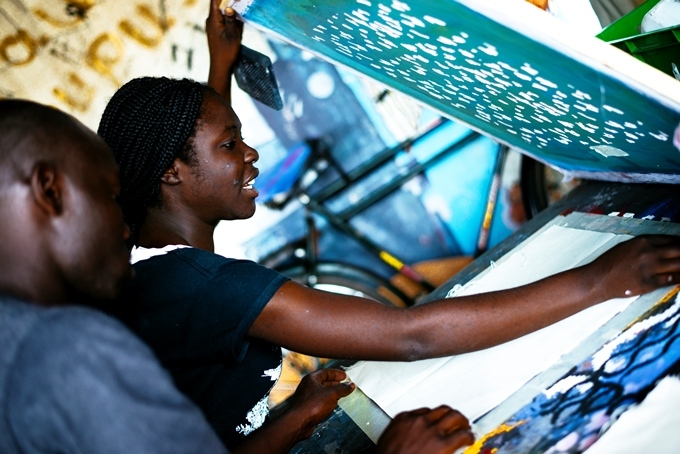 Beyond Vivienne Westwood, brands producing work through the initiative include Karen Walker, Sass & Bide, Stella Jean, United Arrows and other major international houses. 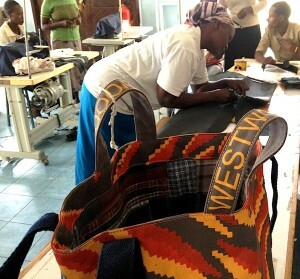 Hubs in Nairobi, Accra and Port-au-Prince receive commissions from the designers, provide training and organize the production of bags, jewelery and fabrics by locals. “We talk about responsible fashion as if it were a segment of fashion but it is not, it’s fashion. We are talking about things that you buy because they are beautiful, really gorgeous. But then they have this incredible, positive story behind them, the story of people who get a decent life out of this work, who get a new life.” said Simone Cipriani, the project’s technical adviser. By linking skills like sewing and beading with top fashion houses, Ethical Fashion hopes to create products that are both beautiful and meaningful. And even though fashion may be fickle, quality endures. 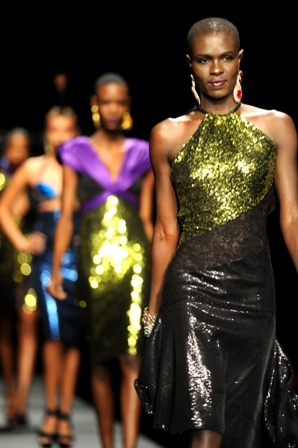 Previous Post KENYA WORLDWIDE FASHION WEEK 2014 IS HERE!